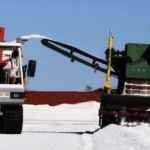 Kalium Lakes has attracted another funding boost valued at $20.8 million from Greenstone Resources at the Beyondie sulphate of potash (SOP) project in Western Australia, propelling Beyondie to commercial production next year. 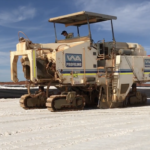 The placement comes off the back of Kalium Lakes’ recent offtake agreement with K+S, its completed front end engineering and design (FEED) and the securing of project debt funding with a combined total of $176 million. Greenstone’s investment will see the company hold a 19.99 per cent interest in Kalium Lakes. Kalium will use the funds toward the purchase of long lead items, pond construction, bores, trenches, pumping equipment, accommodation village installation, Royal Flying Doctor Service airstrip and workshops. “Securing a cornerstone investment partner of the calibre of Greenstone will allow Kalium Lakes to continue its momentum to achieve Australia’s first commercial SOP production next year,” Kalium Lakes managing director Brett Hazelden said. 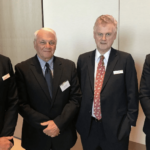 “With this key equity placement and terms recently agreed for debt funding of up to $74 million from NAIF and $102 million from KFW, our project financing pathway is now clearly identified. The appointment of Dennis comes with Greenstone’s ownership of Kalium at more than 15 per cent, granting certain management rights to the former. Kalium Lakes will also receive Greenstone’s technical and financing support in the development of the former’s projects. “We assess hundreds of potential investment opportunities around the world each year. What stands Kalium apart from most is the quality of work which has been undertaken to de-risk the project and bring it to this point,” Greenstone Resources co-founder Mark Sawyer said. Greenstone’s investment will be undertaken via a two tranche placement of more than 47 million fully paid ordinary shares at a price of 44 cents a share – representative of around $20.8 million or 19.99 per cent of shares in Kalium Lakes.